I’m leaning over my daughter’s crib, daring to get my nose as close to her head as possible, in order to imbibe her baby fragrance. Today, like any day with a two-month old, included its share of unhappy baby wails, new-mama exasperation, and waylaid plans. But since finding her thumb a week ago, my daughter has been a champion sleeper, granting some margin for gratitude, hope. Heady with baby aura, I lower an ear, holding my breath so I can hear hers. It’s deep and slow, with a slight rattle in her throat. While listening, I’ve almost forgotten to breathe for myself, as if she could for both of us. Straightening up, I take a long pull of oxygen that fills my body with a momentary energy. I marvel at the duplicity of motherhood. My daughter and I are always linked, but also separate. It’s a concept I’m just beginning to grasp—to grieve and also to welcome with a tinge of relief. The inner struggle of motherhood has already begun. I gently place my hand on my baby’s silky head, fingers following the curve of her skull as if to cradle it, wondering what seeds lie sleeping in that head, waiting to unfurl and carry her from crib to bed and into the world. My heart forms a wordless prayer—one that’s open-ended enough to remind me that my love and her autonomy are not mutually exclusive, not even now, while she depends on me for everything, my milk her only food. I’ve finished unpacking yet another box of kitchen miscellany, trying to find space in a half-sized kitchen for things I rarely use—a large funnel, a hard-boiled-egg slicer, a pastry cutter. Trying to find room for the unessential seems to be a theme in my life as of late. Over the weekend, I moved into a duplex—half of a house, for half of a parenting team in possession of half of the books, furniture, and art. Since the divorce, I feel less sad, but more overwhelmed. My two girls, just six and four, are so busy, full of thoughts and ideas, calls for help, emotions that require extra patience, consistency, and love, and I’m wasting time staring at the contents of my former kitchen, wondering if I’ll use a funnel in the next year. Today, bedtime couldn’t have come soon enough. But now, two hours after singing one last song and flourishing one last “tickle-scratch” on each back, I miss them. In their dim bedroom, I carefully step around boxes they were told to “unpack” after dinner. My earlier annoyance with the mess melts into understanding: Unpacking inspired play—happy reunions with toys they hadn’t seen for a week, opportunities to pretend being teachers and mamas who take on challenges, fix problems, and comfort hurts. Standing by their bunk bed, taking in one sweet face then the other, I still feel the ache of missing them. Am I missing the babies and toddlers they were? Or is the missing in anticipation of the day these daughters, fully grown, will sleep under roofs other than mine? I decide I’m missing the busy, silly, awake versions of my sleeping girls. And I’m tempted to wake them up, but I know better, so I kiss each girl’s temple and take myself to bed. Jason and I can’t keep our eyes open. So this is what it feels like to be old, we joke, setting down our books to move from the sofa up the stairs to bed. On the landing at the top of the stairs, we begin our nighttime rounds, noting the knotted brow of our oldest, my stepdaughter, as she tackles advanced math, then calming the chatter of our middle-schooler, who somehow has several hours of life to update us on, even though we last talked less than an hour ago. We gently scold the youngest for not turning off her light when we told her to, but night owls will be night owls. This is not our battle. I smooth her hair and hum the song I rocked her to each night as a baby. In our own bed, Jason and I share a weary high five and a kiss before turning out our lights. We’ve completed another day of “doing our best” as parents, even though what’s “best” has become increasingly fuzzy. All we know for sure is things are getting real. Before our eyes, all of the knowledge fragments we’ve dispensed along the way have become a collection of tools our children are ad-libbing with out in the world. Each bit of freedom and autonomy, while terrifying for us, is an opportunity for them to practice and learn. We can’t stop any of it—they’re already on their way. I set down my mug of rooibos, tucking a bookmark between pages so I can reach my phone, which just buzzed at me from the coffee table. It’s a text from my oldest daughter whose mind is fixed on the many plans she has for Thanksgiving break, her first week home since moving to college. Smiling, I thumb a response. She’s always had so many ideas and plans—they just keep getting bigger as she becomes more capable of making them happen on her own. The oldest of our three is also off at college, pursuing a science degree and being a wise, steady support system for the students on her floor, where she serves as RA. Only our youngest still occupies one of the bedrooms upstairs. She’s now in possession of a driver’s license, along with the new level of autonomy it brings. After years of playing taxi, I’m still surprised when she arrives home on her own from her favorite cafe, as she does now. Plopping next to me on the sofa, she pulls the edge of my afghan across her lap, offering her back for a tickle-scratch before bed. Kissing my daughter’s head as she says goodnight, I realize it’s time for me to think about bed, too. Just one more chapter. As I turn another page, my phone interrupts with another text, this time from the bedroom above me. Are you super busy or could you come play with my hair for a couple of minutes? I can’t sleep. And I miss you. I miss her, too, I think, setting down my book, mid-chapter. I miss them all—even if they’re not mine to hold back, just to encourage forward. Switching off the lamps, I climb the stairs to my baby girl’s room. This entry was posted in Hope and Place and tagged aging, baby, change, daughters, divorce, growing up, home, motherhood, mothers and daughters, moving, night, sleep, teenagers. Bookmark the permalink. Kristin, you never disappoint, but this is particularly lovely. Thank you for this peek at your one wild and beautiful life. Beautiful. So good. And I needed to read this. Shawn, it’s hard for me to imagine the full range of parenting emotions you must feel, with your full range of children at various ages and stages! I’m glad I could write something that speaks to you, where you are. This is my life right now with a Senior and a Freshmen. I miss them now and can only imagine what next year will bring. Also, I miss you! Thanks for this. Merry Christmas! Stephanie, I’m glad you made your way to this post—I know we’re experiencing many of the same events and emotions! How did these 18-or-so years go so fast? This is beautiful, Kristin. 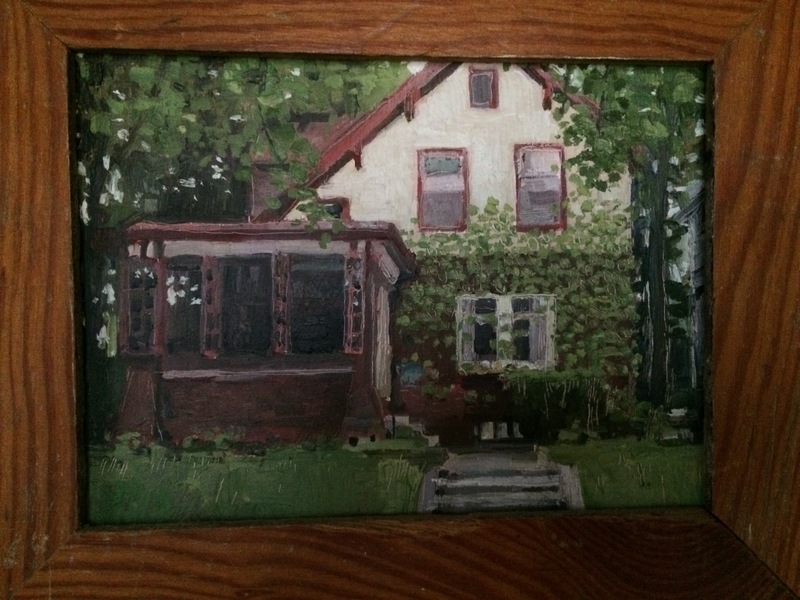 And I love this: “Over the weekend, I moved into a duplex—half of a house, for half of a parenting team in possession of half of the books, furniture, and art.” Thanks for embracing the challenge and artistry of telling the story of a complex life in such vivid snapshots, with so many crucial details outside the frames. Amy, your comment means a lot. I think that as writers, when we’re writing about hard things in our lives, it’s inevitable that we try again and again to capture how it feels, what it means, how it reverberates. Sometimes I feel like “Haven’t I written about this enough?” But it continues to be a part of my life, which means it often needs to be a part of my writing. And each time I write about it, I learn something new.